The week-long social activity popped on Paramount international YouTube channels with the world premier in Hong Kong earlier this week. Gamer YouTuber channels and cross over game videos a big part of the mix with cross-over impressions on IGN, Gameteep and others. The Transformers franchise FB page with 31 million fans popped last week as the band Imagine Dragons performed at the world premiere in Hong Kong. But the social activity really began four months ago, during the SuperBowl when a well-spent 30-second spot was the trigger that launched social activity, according to Marc Karzen, CEO of RelishMix which measures social engagement of the new Big Three networks — YouTube, FB and Twitter. Add to that, the fact that Wahlberg is one of the leading social stars today (see related story), and you have the right marketing mix on social. More to come asTransformers begins its three-day run. Social Media Redefines The Hollywood Marketing Machine. In the entertainment industry, social media has become an increasingly important method to engage fans, track and measure sentiment, and drive business actions based on big social data. 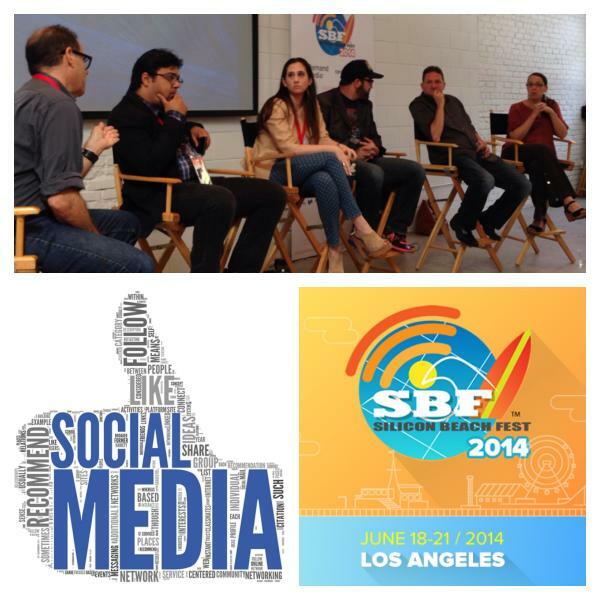 At Silicon Beach Fest, a panel of experts discussed how they incorporate social media into multi-billion dollar franchises for content distribution, audience engagement, and social analytics. The panelists offered their advice and experience integrating social media with TV shows, live events, broadcasts, and film campaigns. The panel included industry heavyweights such as Josh Spector, Managing Director of Digital Media and Marketing forThe Academy of Motion Picture Arts and Sciences, and Lara Hoefs, CEO ofStoryDisruptive and brand manager of the Twilight Saga. Other notable speakers includedHannah Stiefel, TV Marketing Specialist at ABC, and Dan Levitt, VP of Business Development at Jammer.fm. Marc Karzen, founder and CEO of RelishMIX.com, moderated the social media skull session. Perhaps the most interesting highlighted topic was the correlation between ratings and social metrics. Josh Spector, who helped craft the concept behind Ellen’s group Oscar selfie, discussed how the viral selfie influenced a massive spike in viewership. Also, interesting that Think Like A Man Too has a little phenomenon going on moving into the weekend with a particular YouTube video — one with Hart on a roller coaster at Universal Studios Orlando from The Tonight Show which is flying with 9.5M+ views. That’s probably due to two factors — the popularity of Kevin Hart and Jimmy Fallon’s supberb social media team. RelishMix also notes that Hart’s 15.2M Facebook fans and 10.8M Twitter followers are out in force spreading the word: “Kevin Hart’s additional superfan page on FB and Twitter are a social force.” Co-star Taraji Henson’s fan base off 5M FB and 2.6M Twitter followers are also pushing hard. While Hill bowed out of social media after the slur, he came back this past week on Twitter. According to RelishMix, which monitors social engagement of the fans on the Big Three (YouTube, Facebook and Twitter), Hill’s Twitter feed just spiked as he’s back at it. Channing Tatum is a social powerhouse in himself. “He’s feeding his fourteen million FaceBook and six million Twitter fans who are wildly active with his Hollywood premiere selfies,” says Marc Karzen, CEO of RelishMix. And as we all know, social media is exactly where the fan base for 22 lives and breathes. The love story between kids afflicted with cancer also had a well-cut, upbeat trailer which hasn’t changed since it first bowed. And why change a good thing? If you look at the lead-up in social media all the way through last night, one can see the disparity among pics and for this type of demo, it hit the target right in the center of the social media universe. Congrats to Ms. Gabler for moving ahead on a risky film and keeping the budget small (studios says around $12M) to reduce that risk. Stars Shailene Woodley and Ansel Elgort are both fully engaged as well as 100-plus fan pages across Twitter and FB while Ed Sheeran’s 9.5 million Twitter and 6.2 Facebook and his music video are popping, too. Stay tuned for a big box office weekend. In addition to crafting addictively over-the-top storylines with her writers, Rhimes has been particularly successful at stoking the flames of social media, creating a blueprint for the rest of the industry. The networks don’t have pockets deep enough or airtime abundant enough to heavily promote every show. That’s where savvy producers with their own social media-based campaigns come in, whipping up fans who crave behind-the-scenes extras and inside information. For Scandal, a midseason replacement that launched in 2012 to less-than-stellar reviews initially, Rhimes identified and cultivated an audience via Twitter, Karzen points out. The buzz that flowed from that steady stream of digital chatter (the show generated more than 200,000 tweets per episode) helped grow the program’s viewer base. The numbers for Scandal, a cliffhanger-happy melodrama that took off during Season 2 to become a must-see hit, are impressive. The show’s Facebook followers swelled 174 percent over the last year to 2.3 million, while Rhimes’ own Twitter audience grew 67 percent to 631,000. Washington’s Twitter account jumped 83 percent to 1.6 million followers, and the actress’ Facebook count grew by 1,790 percent to 2.9 million, per RelishMIX data. Playing head to head with Tom Cruise’s movie “Edge of Tomorrow,” “The Fault In Our Stars” opened on Wednesday, June 4, and the highly-anticipated movie has officially reached phenomenon status. Written by the highly-acclaimed author John Green, the book-turned-movie has millions of followers and its trailer alone has 20 million views with 1.5 million people talking about it. Actress Shailene Woodley and actor Ansel Elgort arrive at the 2014 MTV Movie Awards in Los Angeles, California April 13, 2014. The film “The Fault in Our Stars,” a story about two teenagers played by Shailene Woodley and Ansel Elgort who meet at a cancer support group and fall in love, has had a strong debut with late night numbers at $8.2 million. Though the film is not on a grand blockbuster scale like some other recent releases – “X-Men,” “Godzilla,” “Edge of Tomorrow” – it is among the most anticipated, and is predicted to deliver big numbers by the end of the weekend. That over-performing trailer, posted on YouTube, has been social gold, says Karzen, whose RelishMIX tracks social-media fan engagement for films and TV shows. Fault’s trailer isn’t anywhere near as big as those for The Amazing Spider-Man 2 or Godzilla, which both pushed up around 30 million views by their respective opening days, but it has already easily passed the trailers for other, far more expensive films this season such as Noah and the second Captain America. TubeFilter reported last month that it had become the most liked movie trailer ever on YouTube, passing a trailer for the One Direction band’s film.